The opening of Canada&apos;s recreational marijuana market in October is undeniably big, but the validation of marijuana as medicine could be even more important. 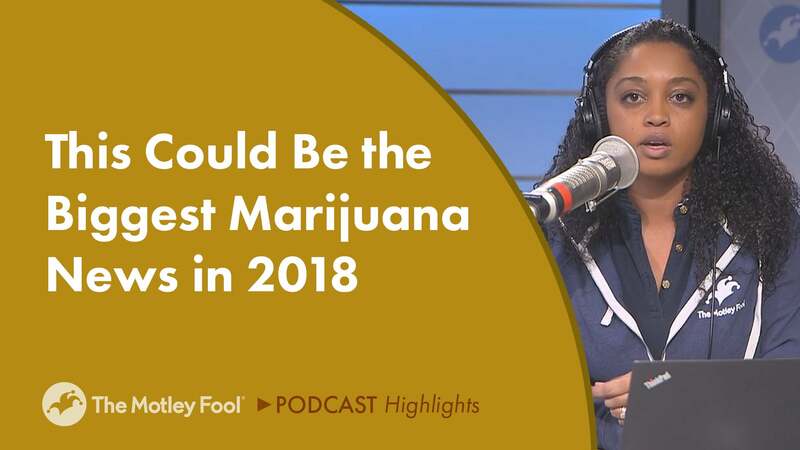 In this clip from The Motley Fool&apos;s Industry Focus: Healthcare, analyst Shannon Jones and Todd Campbell discuss why FDA approval of GW Pharmaceuticals(NASDAQ:GWPH) cannabis-derived epilepsy drug was must-know news this year. Shannon Jones: Let&apos;s dive into the next top story, and that&apos;s all related to everyone&apos;s favorite topic, marijuana. Canada finally legalized adult-use recreational marijuana in October of this year. Really, the big first was with GW Pharmaceuticals and their CBD product, Epidiolex. Todd Campbell: Of course, the recreational market opportunity is huge, and everyone&apos;s focused on that. But from a healthcare perspective, I think the biggest news in marijuana this year was the validation of cannabidiol, CBD, which is the second most common chemical cannabinoid that&apos;s found in the cannabis sativa plant. For years, people have been using CBD oil to help reduce seizures in epilepsy patients. But that was based on anecdotal evidence. What GW Pharmaceuticals did is, they went out and created a purified formulation of CBD, then took it through all of the different phases of trials to prove it out scientifically that, yes indeed, if you take CBD, you can reduce the risk of having seizures. Specifically, this drug Epidiolex, was tested in Dravet syndrome patients and Lennox-Gastaut syndrome patients, which are two types of epilepsy that are very hard to treat with existing anti-epileptics. The FDA approved Epidiolex this past summer, and the DEA gave it very favorable scheduling. That drug is now on the market. Again, like I said, big, because it validated the concept of, this chemical cannabinoid from the marijuana plant does scientifically improve outcomes for patients. What&#39;s the biggest weed dilemma happening in Colorado right now?